A pastry store LADUREE in Paris has arrived in Aoyama, Tokyo. 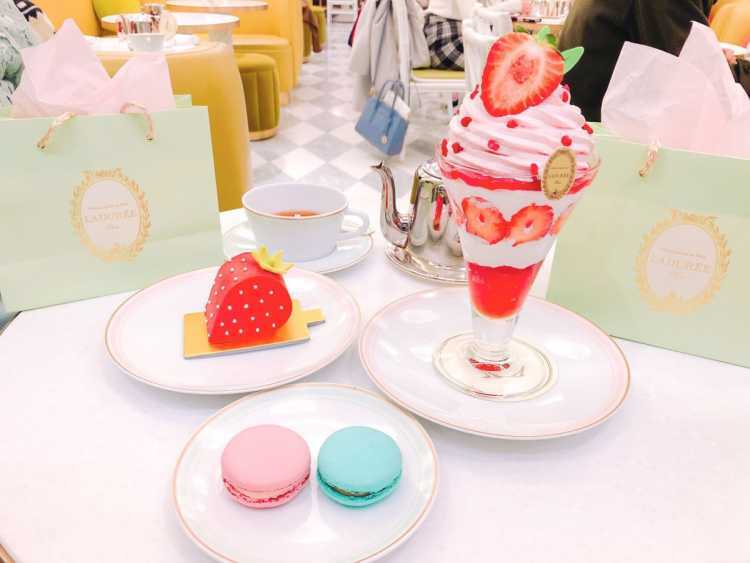 Lovely sweets to eat in macaron-colored cafe that tickles girls' hearts. Outside seats are also nice. They offer sweet-gift box, macaron to go, and also some lovely goods.